CHLOE NOMADE SHOWER GEL 200 ML by CHLOE, a soft BATH, leaves the skin hydrated and slightly perfumed by the homonym FRAGRANCE. Helps the persistence of the Perfume. In 2018, the Maison launched its new PERFUME, destined also to become an "ICON". 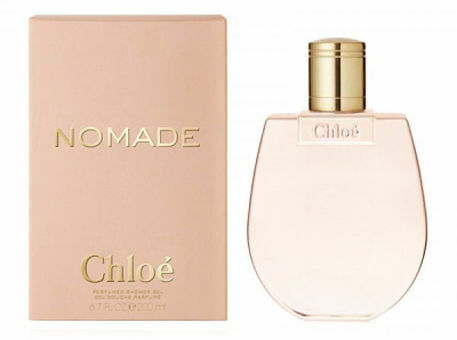 NOMADE eau de parfum, is a FRAGRANCE that manages to combine KINDNESS with STRENGTH as the character of the CHLOE 'woman, a free and elegant woman. A flowery chyprè, MUSK OF OAK accompanied by SUSINA MIRABELLE, GOUMANT and SWEET, to FRESHNESS of FRESIA, create a unique and inimitable atmosphere.